I was very concerned with daughters teeth and my daughter was recommended to have a teeth aligners. 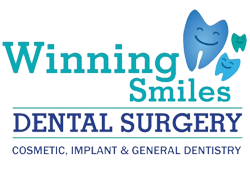 I consulted Dr.samreen kaur from winning smiles dentist. She informed us regarding entire aligner procedure and explained us all available options including invisible aligner like clear path and invisalign. I am very happy with their service and clinical experty. The best part is they are open 7 days a week including all weekends and public holidays that makes it easier for working mothers like me to get appointment without calling sick at work.